The mission of the THAI ART ARCHIVES (TAA) is to recover, study, catalogue, exhibit, make accessible to the public, and preserve the historically important ephemera---correspondence, diaries, notebooks, sketchbooks, working models, printed matter, photography, and so forth---of Thailand's celebrated modern and contemporary (i.e. "avant-garde") masters. 1. Consultative and advisory services to artists, scholars, collectors, gallerists, and the public regarding the preservation of important archives and their future access to the public. 2. The targeting, recovery, study, cataloguing, digitizing, exhibition, and preservation of archival ephemera of historic importance. 3. The development and hosting of a Curatorial & Museum studies curriculum for local and overseas university students and scholars. 4. The development of a circle of Global Research Associates for current and future projects. 5. The development of special projects for national and international study, exhibition, and access. 6. The development of special events, programs, exhibitions, symposia, and so forth for the benefit of current and future generations. THAI ART ARCHIVES seeks to develop a host of research collections of primary (original) and secondary (official copies, supportive publications) materials by way of public collaboration with artists, art collectives, institutions, and others associated with Thailand's modern and contemporary progressive art world. All materials donated to the TAA research collections remain the sole property of the donor; TAA takes in such materials on extended loan for purposes of research, cataloging, on-site storage, and collections management with visiting scholars and students. Donors may stipulate the terms of the donation, such as terms of public access; how access is to be managed; and so forth. Research collections are deposited at the TAA for a minimum of three (3) years, with maximum time limits decided by the owner. Over a period of time specified by the donor and the TAA director, the donor and director may consider whether any portion of the donation is to be made permanent. ​TAA strongly encourages all potential donors to contact us to explore a mutually satisfactory arrangement for the deposit of contemporary and historically important documents and other ephemera for this opportunity. Please consider how TAA can assist you in managing the valuable record of Thailand's important and dynamic modern and contemporary art scene. THE THAI ART ARCHIVES' LOGO is a loose, modern interpretation of the Thai sala, a freestanding pavilion evoking a space of meditation, mental/physical repose, and “sheltering.” The attendant concepts of recollection, unhurried study (“sala” originally derives from the Sanskrit for “school”), discovery, introspection, questioning, preservation, and conservation are all aptly connoted by the sala. 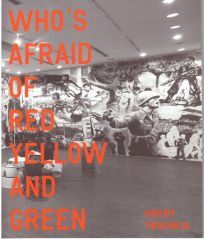 All apply equally to an archives of Thai modern and contemporary art. Montien Boonma (1953–2000), one of Thailand’s most renowned artists of the recent past—and one of the three distinguished, inaugural members of the Thai Art Archives—is perhaps best known, both in Thailand and abroad, by his 1995–96 sculptural installation, "Sala of the Mind" (steel, graphite, and tape recording), a congregation of four freestanding, sala-like structures (their successive metallic skins are punched with the repeated forms of arabesque questions marks), which entice a passerby to enter into their spatial cavities and listen attentively to their meditative, aural sonorities. The Thai Art Archives extends a similar welcome to all interested parties. The Thai Art Archives advisory board is a circle of distinguished professionals in Thailand and the United States who have graciously agreed to contribute their occasional counsel. LIZA KIRWIN, Ph.D., Acting Director & Curator of Manuscripts, Archives of American Art, Smithsonian Institution, Washington, DC. Critical roundtable discussion with Dr. John Clark (University of Sydney) on the publication of Asian Modernities [Power Publications, 2010], with Dr. Brian Curtin (Lecturer, Bangkok University), Dr. Adele Tan (Curator, The National Art Gallery Singapore), Thanom Chapakdee (Prof. Srinakarinwirot University), and Dr. Gregory Galligan (Independent Curator). 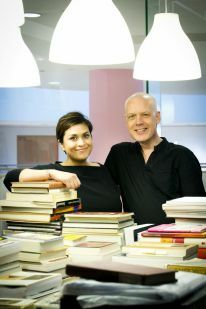 Co-hosted with THE READING ROOM, Bangkok. Artists roundtable discussion on the occasion of the artist's first Bangkok solo show at Gallery Ver; Dennis Balk with Dr. Gregory Galligan, moderator (Independent Curator). Co-hosted with THE READING ROOM, Bangkok. Artists roundtable discussion with Dr. Apinan Poshyananda (Deputy Permanent Secretary, Thailand Ministry of Culture); Pier Luigi Tazzi (Curator); Phatarawadee Phataranawik (Art Critic, The Nation, Bangkok); Dr. Gregory Galligan (Independent Curator); and Rirkrit Tiravanija (Artist). Co-hosted with 100 Tonson Gallery, Bangkok. Development (in progress) of a curriculum consisting of lectures, seminars, heritage tours, and hands-on internships in the THAI ART ARCHIVES for regional and global university students; "independent study" course credit toward undergraduate and graduate degrees available where approved by department deans of participating universities in Thailand, Asia, Europe, and the United States. TAA is delighted to announce that CLARE VEAL, PhD, Art History, The University of Sydney, has joined our distinguished roster of Global Research Associates. Clare Veal is a recent PhD recipient from the Department of Art History & Film Studies at the University of Sydney, where she completed her thesis on the relationship between photography and Thai identity from 1950 to 2010. She has published in Trans Asia Photography Review, Modern Art Asia, and the Silpakorn Journal of Fine Arts, and is currently working as a sub-editor for Asian art for the Routledge Encyclopaedia of Modernism. From 2012 to 2013 Clare was a researcher in residence at the Thai Art Archives, Bangkok, and completed doctoral fieldwork in Thailand with funding from the Asia Institute, Melbourne; and the Royal Thai Embassy. She is currently co-curating an exhibition of the works of Thai conceptual artist Araya Rasdjamrearnsook with Emeritus Professor John Clark, to be held at the University of Sydney and Gallery 4A in 2014. Please join THAI ART ARCHIVES in warmly wishing Clare all the best in the months to come. We're delighted to have her back on board—now as a distinguished Global Research Associate—and we look forward to seeing her again soon in Thailand! "Independent study" credit may be available to college interns currently enrolled in a degree program who receive approval by their departmental deans. Although these are unpaid internships, interns gain valuable hands-on experience in an internagtional-standard archives and gallery setting; upon completion of an internship, interns may receive letters of recommendation attesting to their participation and skills gained in special projects. Since our founding in 2010, TAA interns have gone on to take on full-time employment with such distinguished institutions as 100 TONSON GALLERY, THE JIM THOMPSON ART CENTRE, BANGKOK SCULPTURE CENTER, and 2 MAGAZINE. All queries are welcomed, whether for short- or long term participation. Please contact us at thaiartarchives@gmail.com; include your resume, a brief letter of introduction, and kindly let us know the level of your bilingual skills in Thai and English (reading, writing, and speaking). The Thai Art Archives is annually delighted to announce our Global Friends Circle, a growing group of distinguished individuals, art galleries, publishers, corporate benefactors, and others who have pledged to assist the TAA with its operating expenses for a specified time period. Members of the GFC enjoy special privileges, among them acknowledgment in all printed and digital media; display of their projects and products in our international-standard archives at the Bangkok Art and Culture Centre; private receptions; special joint projects; joint public events, and additional collaborative and creative undertakings. If you are interested in learning more about the terms and benefits of participation in this distinguished circle, please contact us at thaiartarchives@gmail.com.